The Mixed Lot of Wedding Gowns is available for sale and is being sold as asset liquidation to allow added space for incoming inventory. 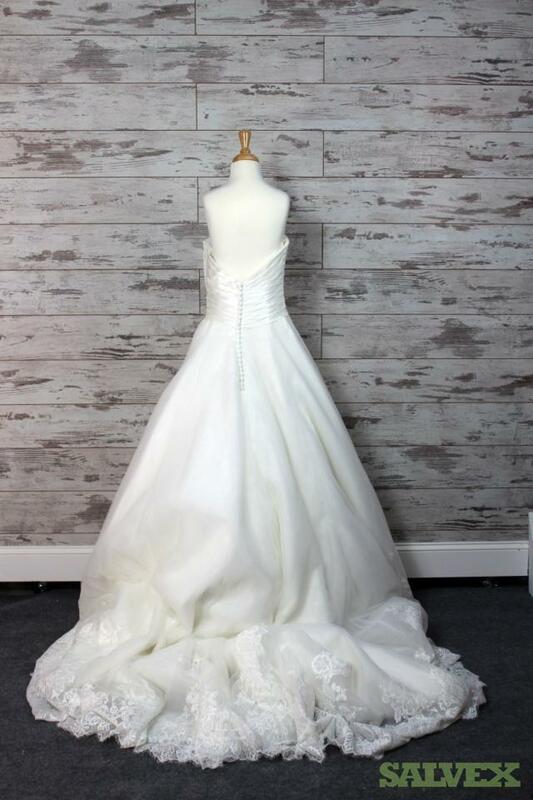 The condition of the dresses range from new, sample or pre-owned. Extra quality measures taken by seller and were inspected and deemed re-sellable by the bridal company. Contact trader for more information. Details noted below. Desiginers Include: Maggie Sottero, Essense of Australia, Casablanca, Alfred Angelo, Vera Wang, Mori Lee, Alex Evenings, Aire Barcelona, Adele Wechsler, Sophia Tolli, Sottero & Midgley, Stella York, Venus, Victoria’s Bridal, Watters, Wtoo, Sassi Holford, Signature, Siri, Shelli Sega, Pronovias Ball, Rivini, Paloma Blanca, Oleg Cassini, Pattis, Allure Bridals, David’s Bridal, and More.